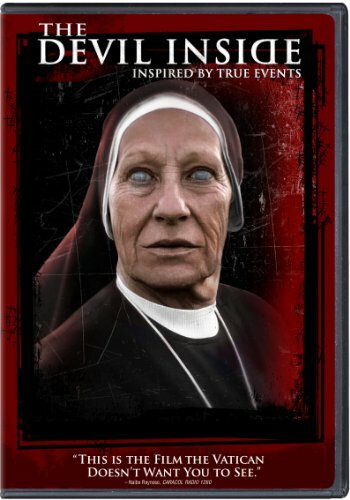 HOLLYWOOD, Calif. - A gripping story about the secret world of exorcism and one woman's struggle against pure evil, The Devil Inside is unleashed on Blu-ray (for purchase exclusively at Best Buy), DVD, On Demand and for Digital Download May 15, 2012 from Paramount Home Media Distribution. In 1989, emergency responders received a 9-1-1 call from Maria Rossi confessing to three brutal murders. Twenty years later, her daughter Isabella (Fernanda Andrade, "Fallen") seeks to understand what really happened that night, traveling to the Centrino Hospital for the Criminally Insane in Italy where her mother has been locked away. When Isabella recruits two young men to cure her mother using unconventional methods, they discover the horrifying truth. Now Isabella must face pure evil or forsake her soul. A frighteningly intense film that dares to unveil ancient secrets about the realities of possession, The Devil Inside terrified audiences with its shocking revelations, ultimately earning more than $53 million at the U.S. box office. The Devil Inside Blu-ray will be presented in 1080p high definition with English 5.1 DTS-HD Master Audio, French 5.1 Dolby Digital, Spanish 5.1 Dolby Digital, Portuguese 5.1 Dolby Digital and English Audio Description, as well as English, English SDH, French, Spanish and Portuguese subtitles. The DVD will be presented in widescreen enhanced for 16:9 televisions with English 5.1 Dolby Digital, French 5.1 Dolby Digital, Spanish 5.1 Dolby Digital and English Audio Description, as well as English, French and Spanish subtitles.